“The Moralized Bible in Spain”. 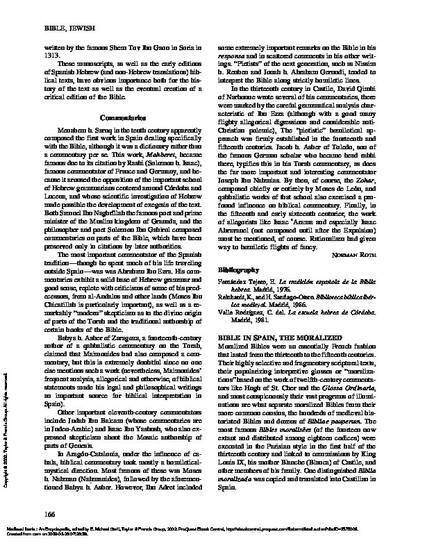 Encyclopedia of Medieval Iberia. Ed. Michael Gerli. NY: Routledge, 2003. 166-68.